Assess whether the dog has aggression or fear issues. Take special notice of how your dog acts when you get near his food bowl, chew toys and resting area. Pay attention to any sensitivity your dog shows when being approached by people, especially children and toddlers. Note how your dog acts when he is handled in uncomfortable ways, including tail tugs and grabbing his feet, mouth and ears. 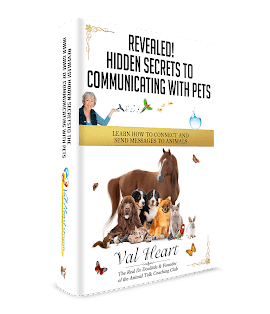 If you notice any areas of concern, address these with remedial training and enlist your veterinarian, a certified professional dog trainer or animal behaviorist if needed. Teach proper manners in advance. Jumping up isn’t only a nuisance; it becomes a safety hazard when you are holding a baby who can be injured or knocked out of your hands. To prevent your baby from being jostled or stepped on, train your dog to sit for greeting and to come up on furniture or your lap only when he is invited. Loose-leash walking also becomes critical when a stroller comes into the picture. Practice walking your dog with the stroller before the baby comes, and, if needed, get your dog accustomed to anti-pull devices, such as front clip harnesses and head halters. Practice the “leave it” and “drop it” commands, which will come in handy when getting your dog to leave baby items (like stuffed animals) alone or to drop them if they’ve already been snatched up. Think pet-proofing as well as baby-proofing. Help your dog be independent. Soon-to-be-parents are often tempted to lavish extra attention on their dog because they feel guilty about the time they will be taking away from their pooch once the baby arrives. But the smoothest approach is to prepare your pet to be independent, so that he is already used to a decrease in attention before you bring the baby home. Stock up on food puzzles and chew toys to keep your dog’s mind engaged, and prepare an exercise routine for your dog that you can stick to once the baby arrives. Exercise is critical – your routine can include walking the dog yourself or setting up a dog walker or doggy day care to help out. Acclimatize your dog to the sights and sounds of a new baby even before he or she arrives. Use a baby doll to mock activities you will do when your real baby arrives. Do the diapering, feeding, bathing, swing time and other activities with your dog present. You can use the mock baby to teach your dog to respect the baby’s space and remain calm when you do baby-related things. Play recordings of baby noises, such as crying, and pair them with tasty rewards so your dog associates them with something good occurring. (I recommend a CD called Preparing Fido.) On the day your baby arrives, have a family member take an item home that has been on your baby (either a piece of clothing or a blanket). As soon as your dog smells this item, give him a highly palatable reward, such as a piece of a turkey hot dog. Then remove the scented item. Present it again, and reward again. Since dogs are so keen on smell, he will begin to associate your baby with good things happening before he and your baby even meet. Introduce the baby and the dog carefully. Have your dog meet the new baby on neutral territory. Although it was winter when we brought home our precious Reagan, we had the pugs come outside for a quick visit before we brought Reagan inside. While the pugs were meeting Reagan, we kept the visit under control by giving them known behavior commands such as “sit” and “down” while rewarding them. We allowed brief sniffing, and then directed them to do an action that was compatible with a baby in our hands. Always supervise your children and pets together. The majority of dog bites happen to children when they are not being supervised by an adult. Monitor all interactions between your dog and your baby, and use baby gates or crating when close supervision is not possible. Vetstreet.com (www.vetstreet.com) is a new site dedicated to connecting pet owners with the best products, services and veterinary care to help keep their dogs and cats healthy. Vetstreet’s articles are written, developed and reviewed by leading veterinarians, professional journalists and animal health experts, providing pet owners with the most accurate information and current advice on everything from finding the right puppy or kitten to dealing with serious medical conditions. In addition to information about the latest events, trends and product reviews, the site also features a vet directory. We are still in the soft launch phase of our online shop but the Vetstreet retail environment will soon offer a broad array of vet-prescribed medications, nutritional products, grooming supplies, cute dog beds, fun pet toys, and more. Can Pets Be Soul Sitters Too?